Topcon Positioning Systems’ (TPS) new GRS-1 is a modular, all-in-one, dual-constellation mapping system that incorporates high-accuracy capabilities into a single, small hand-held device. The GRS-1 has a high-speed processor, increased memory, built-in compass and an integrated digital camera and cell phone modem that provides flexibility for the user in the field. The GRS-1 addresses mobile GIS applications as it incorporates an optional internal GSM or CDMA modem used to dial up to a reference station network for real-time correction data. An extra cell phone modem to make the connection is no longer required. Wireless connectivity via wireless LAN and Bluetooth technology enable a user to access a GIS server to download maps and other GIS data to use in the field. Surf the web or upload data files immediately from the field. An SD memory card slot is also available to store background images, digital photographs and other data files. Designed also as a GPS network rover receiver for survey applications, the GRS-1 “provides GIS users an economical high-accuracy solution,” she said. The new receiver has submeter DGPS capability with the internal L1 antenna. At any time, add an external antenna to increase accuracy. Add a single frequency PG-A5 antenna and connect to a GNSS network via the internal cellular modem for subfoot accuracy. Add a dual-frequency, PGA-1 external antenna and a high-accuracy software module and the receiver moves to dual-frequency, dual-constellation GNSS for GIS RTK (<5cm) accuracy. The GRS-1 is designed as a modular solution – the user can choose from a variety of accuracy levels for a myriad of projects. 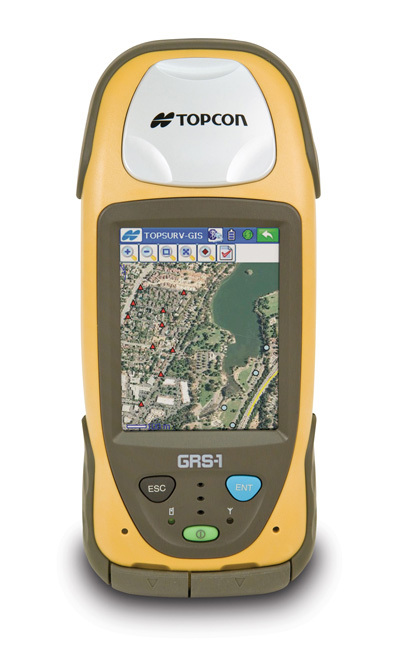 The GRS-1 uses the Windows MobileTM operating system to run TopSURV-GIS, Topcon’s easy-to-use field mapping software. 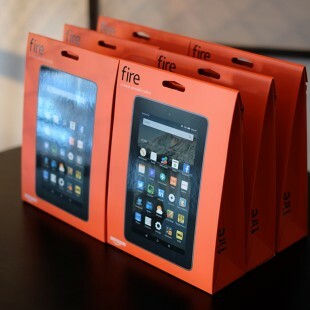 Other software solutions are also available for very specific applications.